Hawke Vantage Max rifle scopes are low profile, stable and rugged all caliber rated rifle scopes. With design focus on function and performance in the field Vantage scopes give performance well beyond what is normal at this sort pf price. Real value for money. Solid mono tube chassis ensures stability and durability even against heavy magnum recoil. 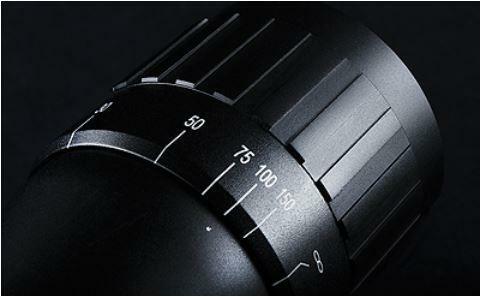 The Vantage Max is an enhanced version of the regular Vantage with a wider field of view. Accurate mil spacing on 10x. Features dots and ties at half mil spacing, ensuring that there is always an aim point available. Glass etched fully floating reticle. Mil spacing and 0.2 mil spacing segments of the hollow bars can be used to accurately range find targets. Fast target acquisition and moving target tracking. Adjust from 4x to 12x. A great magnification range for all round hunting. Very Easy and very fast dial adjustment. Ocular focus from approx 5 yards, parallax focus from 10 yards. Parallax effect is the term that describes the difference in angles between objects that are seen up close and those seen far away. When you look at telephone poles passing by on the side of the road, those closest to your car seem to pass very fast, while the ones far away seem to go very slow. That difference is due to the parallax effect. 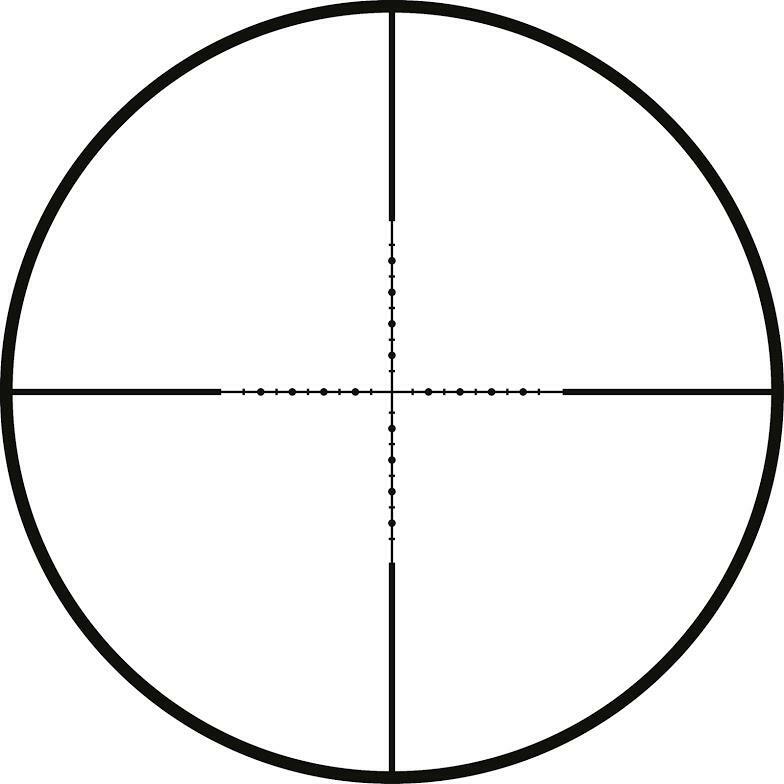 The reticle in your scope is like a telephone pole that's very close. If you move your head on the stock while watching the target through the scope the reticle may seem to move, wobble or blur against the target. That affects where you perceive the aim point to be, and that affects your accuracy. Parallax focus correction adjustment reduces this phenomenon to the greatest extent possible. Parallax focus correction therefore is a must for anyone attempting to use either a high magnification scope, shooting drastically different yardages with the same scope or anyone attempting to shoot at extremely close ranges or extremely long ranges. Especially so if it is a combination of these factors. A common mistake is to use the parallax adjustment in an attempt to focus the reticle. The ocular end (eye piece) has a focus for the reticle. That is the sole purpose of the ocular focus. Returns have been caused by users attempting to use the reticle focus as an image focus and or using the parallax adjustment as a reticle focus. If you get both of them so far out of whack bad things will happen. Only use the ocular focus to focus the reticle and only focus the reticle while looking through the scope at the sky. This will keep you from trying to focus an object instead of the reticle. 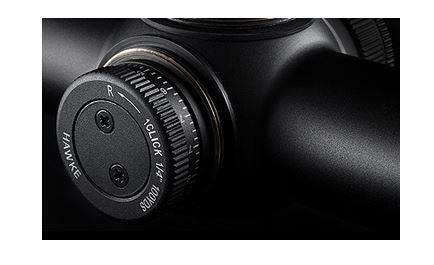 Ocular Focus (eyepiece) adjusts the scope to the individual shooter's eye... this is a one time adjustment. (For wearers of prescription lenses this could be a multiple procedure event if new prescription arrive.) The purpose of this adjustment is to adjust the scope so that the image of the reticle (crosshairs) is properly aligned with the back of the shooters eye. Parallax focus adjusts the target to the reticle (crosshair). The target image and the reticle must be on the same focal plane within the scope or there is room for apparent movement of the reticle on the target when the shooters eye moves (or is positioned differently at the scope). Eye relief: 90mm / 3.5"